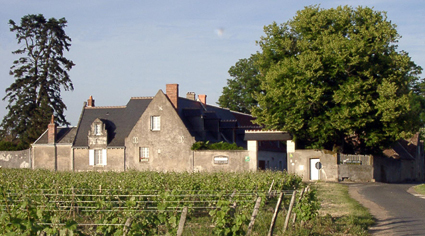 Le Clos de l'Epinay is an 18th century vineyard located on the heights of Vouvray amongst the vineyards (15 km from Tours). It is set in a privileged position where the vines are exposed to large amounts of sunshine. The Dumange family has owned the vineyard since 1966. The estate has 20 hectares of vines: 19 hectares of A.C. Vouvray with one grape variety: Chenin blanc, and 1 hectare of Grolleau, Gamay, and Pinot noir to make our A.0.C Touraine rosé. The soil is mainly chalky-clayey with a little siliceous-clayey soil for the vines in the Clos. There is total respect for the environment in the vineyard, which is run on the principles of sustainable agriculture. For Luc Dumange, the strict respect of these principles guarantees quality. His wines are regular award winners.